Check out our Rotorua Guide for Backpackers and Accommodation Guide to Rotorua for more info on life in New Zealand cheapest town. Located only a short drive north of Auckland, Whangarei is the perfect spot to settle in for any backpacker with a car. It is the gateway to the stunning Bay of Islands and offers the proximity to New Zealand’s biggest city without the cost of its expensive lifestyle (see Auckland at the bottom of this article). Although the amount of rooms to rent is pretty low, the prices of the ones available are low. Food and produce are on the cheap as well thanks to the regular surplus from the greater Auckland discounters. Don’t miss our Accommodation guide to Whangarei and our Whangarei Guide for Backpackers for more info on the city. Manawatu is probably the most underrated region on New Zealand’s North Island. Often only driven through, the region has a lot to offer with mountains and rivers to explore. 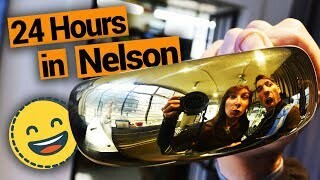 Palmerston North has cheap accommodation from hostels to flats and everything in between. The activities in the area are also decently priced, far from the big backpacking hubs that have seen their price soar in recent years. 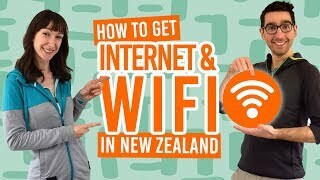 Keen to give Palmy a try? 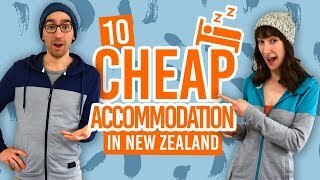 Check out our Accommodation Guide to Palmerston North and Manawatu Guide for Backpackers. Hamilton is located only a 1h45min drive from bustling Auckland, yet it benefits from a cost of life almost 40% lower than Auckland City. In the city, there is plenty of retail jobs and surrounding farming jobs in the dairy industry. Hamilton is also a fantastic hub for trips to Raglan, the surf mecca of New Zealand, Hobbiton in Matamata, the Waitomo Caves, and countless others! We’ve compiled more info for you in our Accommodation Guide to Hamilton as well as our Waikato Guide for Backpackers. Picking, fishing, factory work, retail… there are backpacker jobs available all year round in Tauranga. The small suburb of Mt Maunganui is a tourist hotspot where plenty of hospitality and retail jobs makes Tauranga a Backpacker favourite to settle in for a little while. With a decent cost of living, it is a great place to stop for a while and save up for the next leg of your trip. Don’t miss our Accommodation Guide to Tauranga and our Tauranga and Mt Maunganui Guide for Backpackers. The South Island’s biggest city is the first of New Zealand’s top three cities to enter this ranking. If you need city life at bargain price, Christchurch is for you with its lower rent and overall cost of life compared to Wellington and Auckland. The city has plenty of jobs to offer keen backpackers from construction jobs to retail to hospitality. For nature-lovers with a car, the Banks Peninsula and Arthurs Pass are only a short drive away and never fail to impress. For an even lower cost of life, consider Christchurch’s outer suburbs. We have plenty of Christchurch related articles, start with our Accommodation Guide to Christchurch City (and region) or our Christchurch Guide for Backpackers. New Zealand’s hipster city comes at hipster prices. The fourth most expensive city to live is still much cheaper to live in than most European and North American cities but compared to its neighbours on the North Island, it comes at a sharp price. However, the art scene, surf waves and proximity to Mt Taranaki more than makes up for it. It is common to find people staying there much longer than they planned to, whether it’s for the nightlife, the surf, the vibe or simply because it is far off the main tourist highways. Check out our New Plymouth Guide for Backpackers as well as our Accommodation Guide to New Plymouth for more info on the artsy town. New Zealand’s capital city is unsurprisingly one of the most expensive cities in the country. It is a popular administration and retail job hub for temps and seasonal workers. Coming ninth on this list due to its high rent and overall cost of life, we highly recommend you to look into outer suburbs if settling in Wellington. The train and bus network is great and offers proximity to even the furthest suburbs. Check out our Accommodation Guide to Wellington (and region) as well as our Wellington Guide for Backpackers to make the most of your stay in Wellington. Although it is not a city, Queenstown is on most backpacker’s minds when it comes to places to work in. If settling in the town for a few months, you will want to consider its outer suburbs, the commute is worth saving hundreds on rent. Food prices have also soared in the last few years reflecting the popularity of the town. 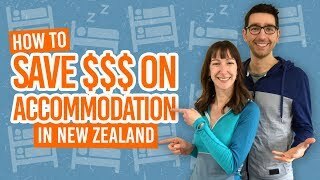 Oh well, the magnificent Lake Wakatipu, incredible snow resorts, and nightlife scene are worth the extra dollars for the gap year of a lifetime in the Adventure Capital of the World, right?! For more on life in the Adventure Capital of the World, check out our Queenstown Guide for Backpackers and Accommodation Guide to Queenstown. 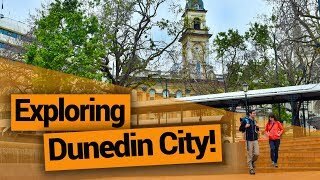 We could not finish our list without mentioning New Zealand’s biggest city which is also New Zealand’s most expensive city. Topping the list of the most expensive city in the country with sky-high prices and overall cost of life, Auckland is by far the least likely place to save money. Jobs are plentiful but so are keen workers. As a result, the competition is pretty fierce when trying to find a job in Auckland. Wages are also slightly lower due to the uneven ratio of workers vs jobs. Plus, with high rent, high food prices, and high entertainment prices, your savings will melt like ice-cream on a hot day. On the other hand, there is always something happening in Auckland and the city is often at the top of any of the “most liveable cities in the world” lists. Keen to live in Auckland, get informed with our Auckland Central Guide for Backpackers (and region) as well as our Accommodation Guide for Auckland Central (and region).